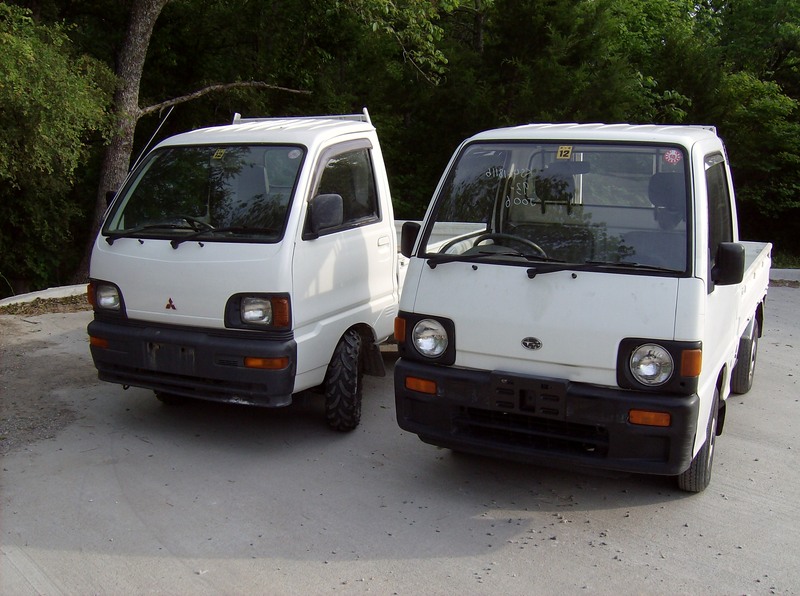 The Japanese mini truck or KEI truck has been used in Japan since the mid-1960’s. They are durable and serve a wide variety offunctions from delivery services, construction developments, agricultural operations, and industrial facilities. These trucks are made by reputable manufactures such as Daihatsu, Honda, Mazda, Mitsubishi, Subaru and Suzuki. Most are equipped with 3 or 4 cylinder gas engines of 550 or 660cc. Typically, these trucks have a 4 or 5 speed manual transmission and are 4-wheel drive with payloads ranging from 1,200 to 1,500lbs. All units are pre-owned, are right-hand drive and come standard with cab heater, turn signals, headlights, speedometer, seatbelts, and windshield wipers. Some units even have air conditioning. 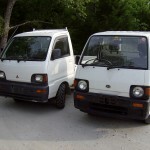 Most Japanese KEI trucks are painted white; but occasionally a blue, brown, or green one is available. These units are intended for off-road utility vehicle use and can’t be driven on public roads in most states.